HOUSTON (CN) – A deputy constable who died this week after he was shot at a suburban Houston courthouse was laid to rest Thursday and police are searching for the killer. Clint Greenwood arrived as usual at around 7 a.m. Monday at the Baytown courthouse, where he worked in the building’s annex as an assistant chief deputy constable. As he bent down into the passenger side of his service vehicle to get something, a man came out from behind a Dumpster in the parking lot and shot him once in his chest and once in the neck, the Houston Chronicle reported, citing a source close to the investigation that is being led by the Baytown Police Department. Greenwood, who was wearing a bulletproof vest, succumbed to blood loss from the neck wound and was pronounced dead after he was airlifted to a Houston hospital. He was 57. He is survived by a wife and four children. Baytown and Houston Crime Stoppers are offering a $65,000 reward for information leading to an arrest and murder charges. Federal, state and local police are helping with the investigation. Baytown police released footage from a camera mounted near the front door of the courthouse that shows a man wearing a black jacket walking back and forth outside at around the time of the murder. Police described the suspect as a 6-foot, stocky white or Hispanic man. They believe the suspect fled in a black-hatchback car, and also released video of the vehicle. “You wouldn’t think anybody, especially an officer, would get killed at a courthouse,” Baytown resident Shane Morgan told KTRK, Houston’s ABC affiliate, on Tuesday. Greenwood worked for the Harris County District Attorney’s Office from 1983 to 1989, first as an intern in its Grand Jury Division. After he graduated from law school and became a licensed attorney in 1986, the DA’s Office twice promoted him, to its Trial Bureau then its Civil Rights Division, the Chronicle reported. Greenwood reportedly called the Harris County Attorney’s Office last week and told them he was being threatened by a man he’d once investigated in a corruption probe. “I believe (this person) poses a real threat to my (safety) and my family’s safety,” Greenwood said in an email sent Thursday to the county attorney’s office, the Chronicle reported, citing a source who asked to remain anonymous. He left the Harris County DA’s Office in 1989 and went into private practice with a focus on defending police against criminal charges. In 2009, he returned to the Harris County DA’s Office to head its Police Integrity Division. In January 2013, the Harris County Sheriff’s Office hired him as a major and commander of its Internal Affairs Division; he worked under former Sheriff Ron Hickman. “He was one of the best guys you’d ever want to work around,” Hickman told the Chronicle. 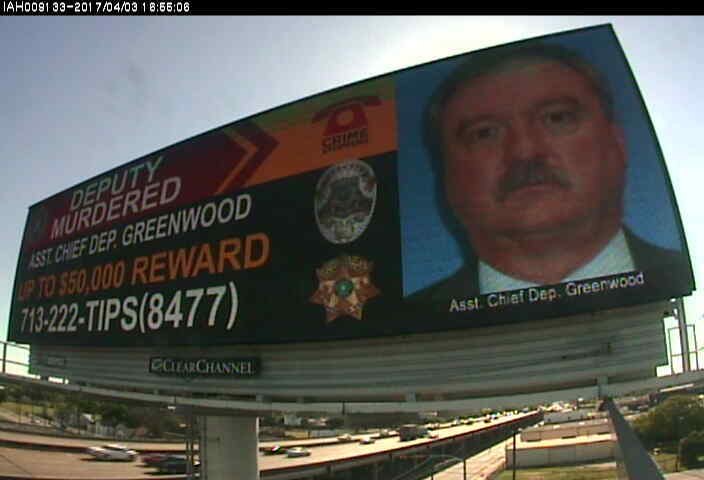 Greenwood taught Texas criminal law to Houston Police Department cadets from 2009 to 2012. He also taught at three other Houston-area law enforcement academies. Throughout his career, he took 5,800 hours of classes and training, culminating with master peace officer certification in 2012, the Chronicle reported. He started working for the Harris County Precinct 3 Constable’s Office this year and had been with the department three months before he was killed. 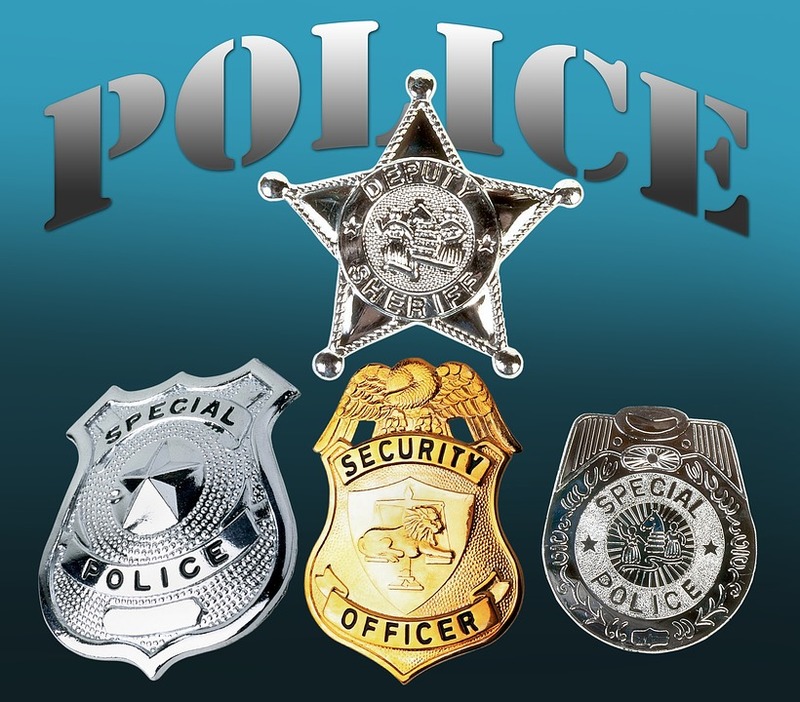 Texas constables and their deputies serve legal papers and are bailiffs in courtrooms. They also patrol neighborhoods and investigate crimes like sheriff’s officers. Goforth was shot multiple times from behind in August 2015 as he filled up his squad car at a Houston gas station. Shannon Miles, 32, is in Harris County Jail, charged with the capital murder for that shooting. Miles, who is schizophrenic, was transferred to a state mental hospital last year after a judge found him incompetent to stand trial. The judge found Miles competent in early March, and he pleaded not guilty. Harris County District Attorney Kim Ogg, who took office in January, filed a motion this week to recuse her office from the Miles case and appoint a special prosecutor. Ogg states in the motion that her chief of staff Vivian King briefly represented Miles’ mother and brother during a grand jury investigation of Goforth’s death. “To avoid any appearance of impropriety due to Ms. King’s private representation of material witnesses in the case, the District Attorney moves to disqualify herself and her staff from prosecuting Miles,” the motion states. Thousands attended Greenwood’s funeral Thursday at Second Baptist Church in Houston, the same church that hosted Goforth’s funeral.